Become the ultimate animal expert in the Animal Jam universe. Find in-game information, fun facts, tips and tricks from Animal Jam gamers, plus secret info you can't get anywhere else! NATASHA LEVINGER is an award-winning screenwriter and playwright who has written many episodes of My Little Pony as well as multiple shorts for Equestria Girls. She also co-wrote the My Little Pony book, The Elements of Harmony Vol. II. She has two kids who are Animal Jam fans and a husband who is co-conspirator in keeping their house full of rescue pets. ANIMAL JAM, now inhabited by over 140 million animals created by players, is the largest online social network for kids in North America. From its Salt Lake City headquarters and studio office in Amsterdam, the WildWorks team is expanding the world of Jamaa to encompass mobile devices, consumer products, books, and animation. 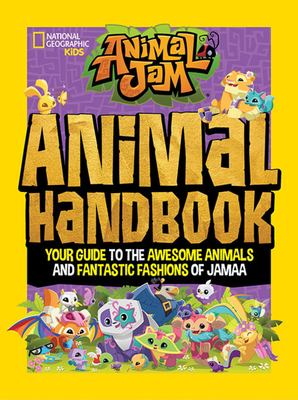 Animal Jam is produced in partnership with WildWorks and National Geographic Kids.